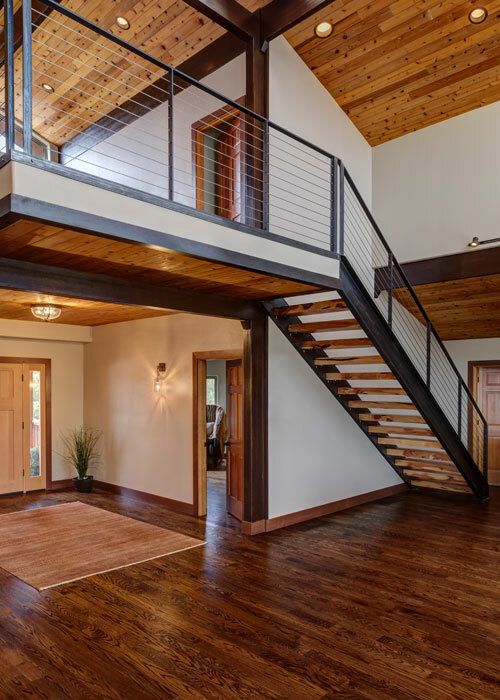 The home, built in 2000, sits on acreage in the beautiful hills of rural Hillsboro and featured a plethora of similar wood tones. 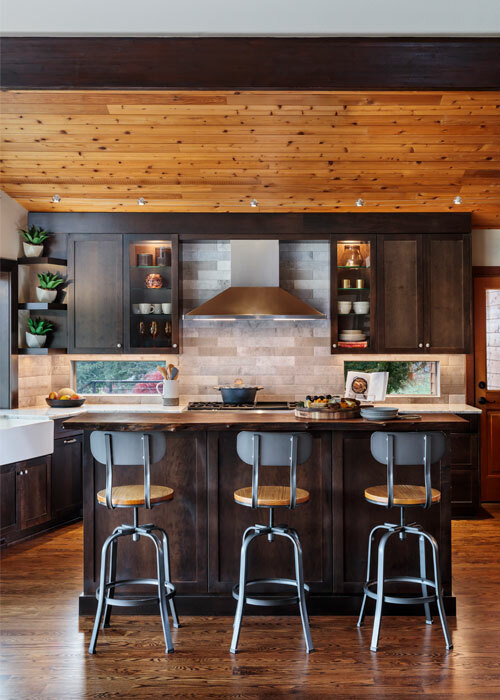 The goal was to create a more functional layout with a larger island for entertaining, add more light, and warm the space with a mix of wood tones. 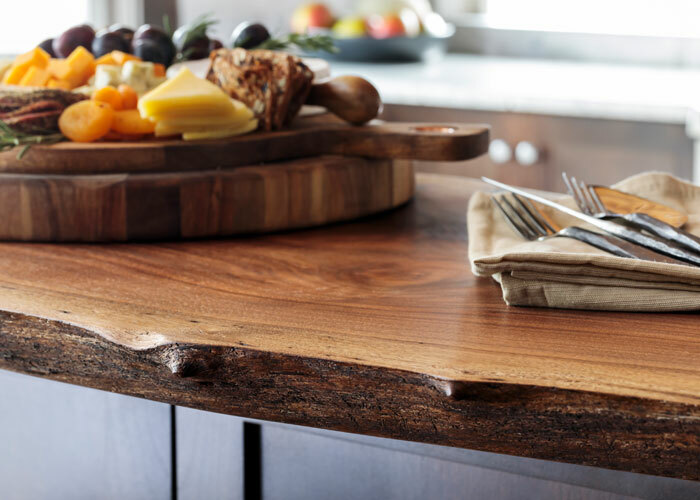 The larger island features a showstopping, reclaimed slab on the raised bar that seats three. The cooktop was moved off the island, and the sink shifted to take advantage of the view out the back window. 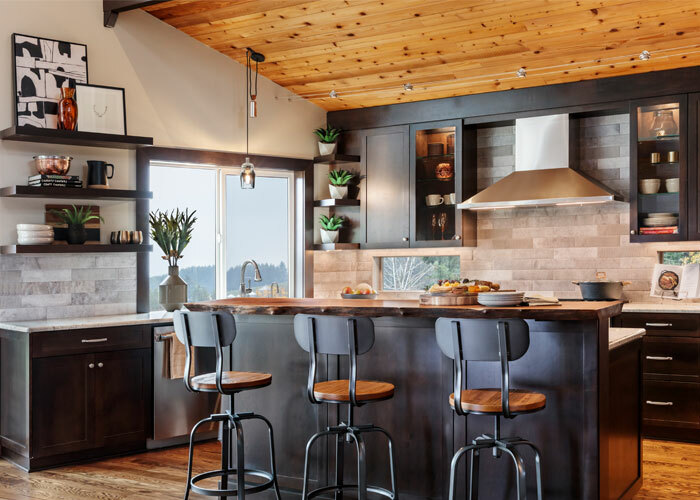 This space is now perfect for the couple or a crowd to enjoy a glass of wine. 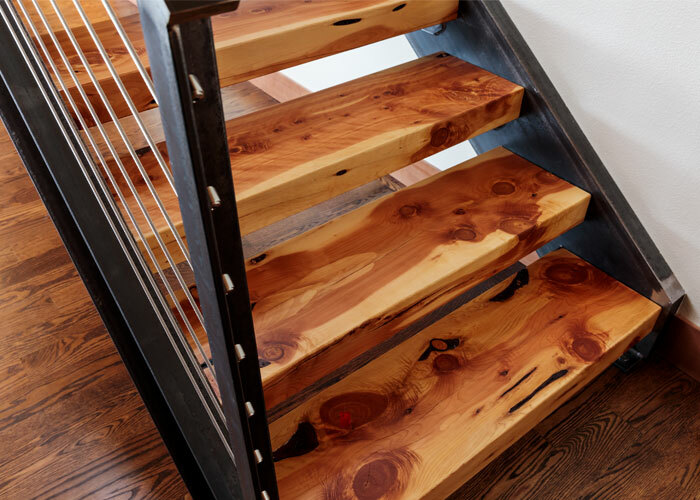 The dated staircase was transformed into a modern masterpiece that leads to the second-floor loft.